It is the number one tourist attraction in Scotland, and one of the premier attractions in the UK. There are many things to explore within the castle, including war and guns museums, ramparts, viewpoints, and more. There is also a restaurant, a coffee shop and toilets. It costs £17 per adult, and you should buy the ticket in advance here or here, as it is cheaper and the queue on site can be long (there are stations to print advanced tickets, so no queues needed). You can also pick up an audio guide and an “Explorer Quiz” to help keep the kids engaged. Try to choose a sunny day if possible (not an easy task in a city with 191 days per year of rain average), so you can enjoy the views of the city. The Roya Mile is a mile (an Old Scots Mile) long path leading from Edinburgh Castle down to the Scottish Parliament. 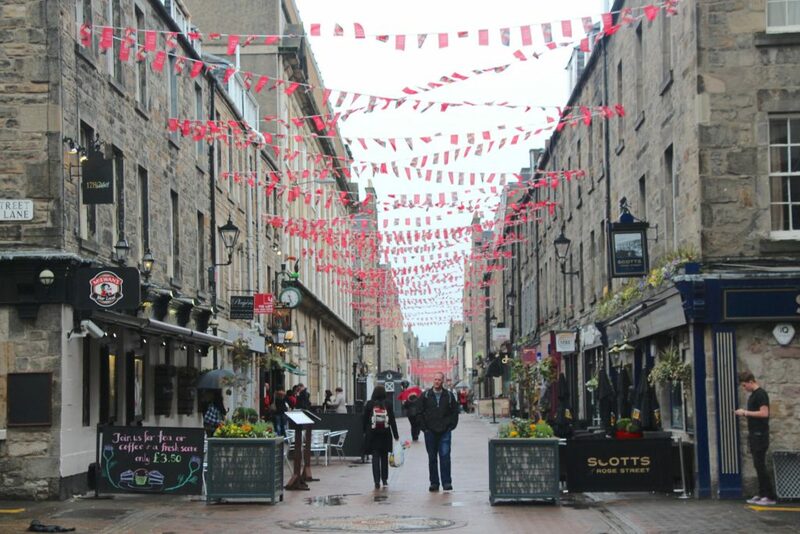 It is the heart of the old town, so you can expect street artists, pubs, gift shops, restaurants, walking tours, and more. You can easily walk it over when you visit the castle. During all year the tours meet on the Royal Mile as well, and you can join one of them directly. There will be music from the traditional Scottish bagpipes as well. 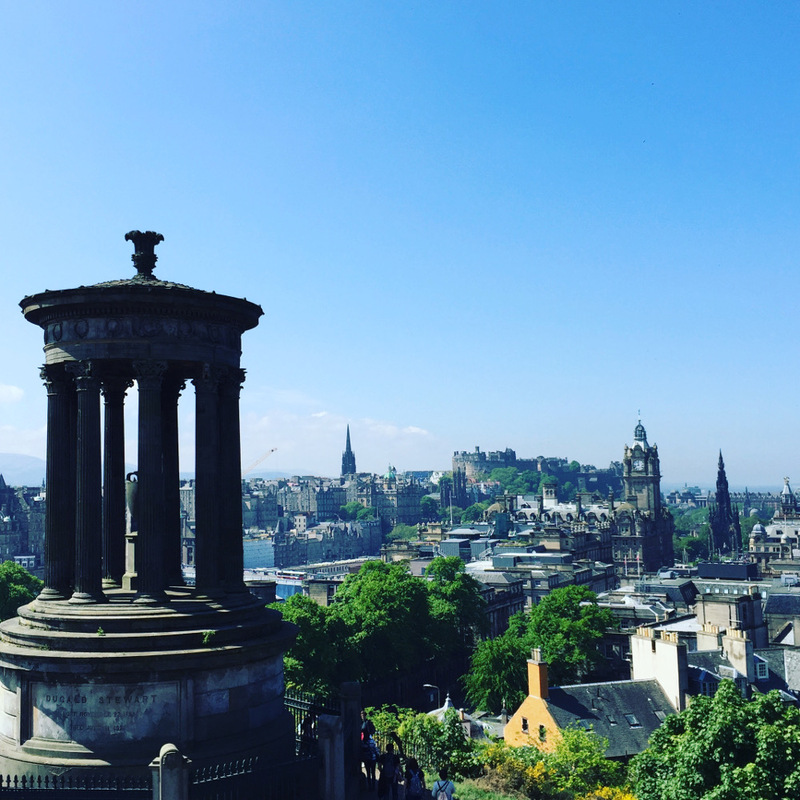 Calton Hill is only 15 minutes away from the train station and offers panoramic views of the whole city, including the castle from the distance. The access is free and the hike is short and relatively easy (around 5 minutes). 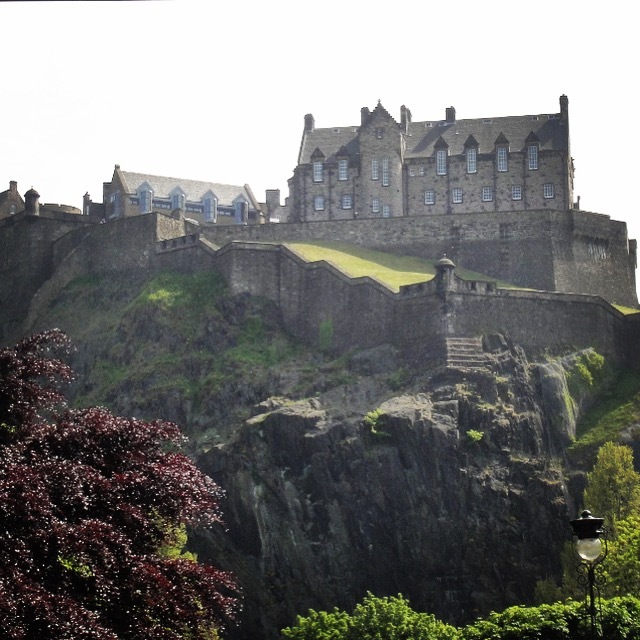 On the top of the hill, you can find the National Monument of Scotland and the Nelson Monument, where you can climb its stairs up to the top, for an even higher view. 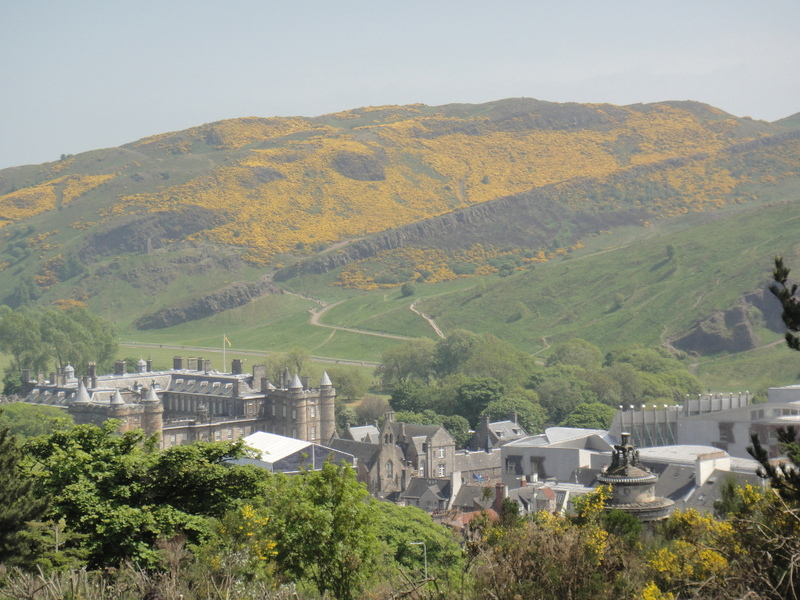 From the opposite side of the hill, you can see Arthur’s Seat and the Palace of Holyroodhouse. Princess Gardens is the main public park as it is located in the centre of the city, in the shadow of the castle. They were built following the long draining of the Nor Loch and building of the New Town, beginning in the 1760s. It is a peaceful place to walk, stroll, have a coffee and chill out. Various events are held at the Ross Bandstand including the Festival Fireworks Concert, Men’s Health Survival of the Fittest, and during the city’s Hogmanay celebrations. There is also a fountain, a coffee shop and other monuments such as Robert Louis Stevenson’s memorial. On one side of Princess Gardens, very close to the always busy and commercial Princess Street, you will find Scott Monument. 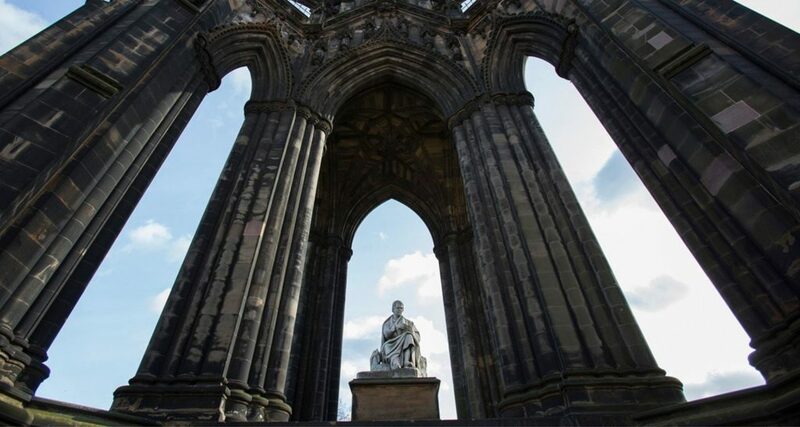 It was built in memory of the author and poet Sir Walter Scott, and you can go up to the top using its 287 steps. It is also near Edinburgh’s main train station, which is named after Scott’s Waverley novels. “The tower is 200 feet 6 inches (61.11 m) high and has a series of viewing platforms reached by a series of narrow spiral staircases giving panoramic views of central Edinburgh and its surroundings.” It is also the second largest monument to a writer in the world. The cost to access to all levels is Adult £8, Concession £6, Child £5. This extinct volcano is 250 metres high and also offers panoramic views of the city. The hike is not hard but it is not as easy as Calton Hill. 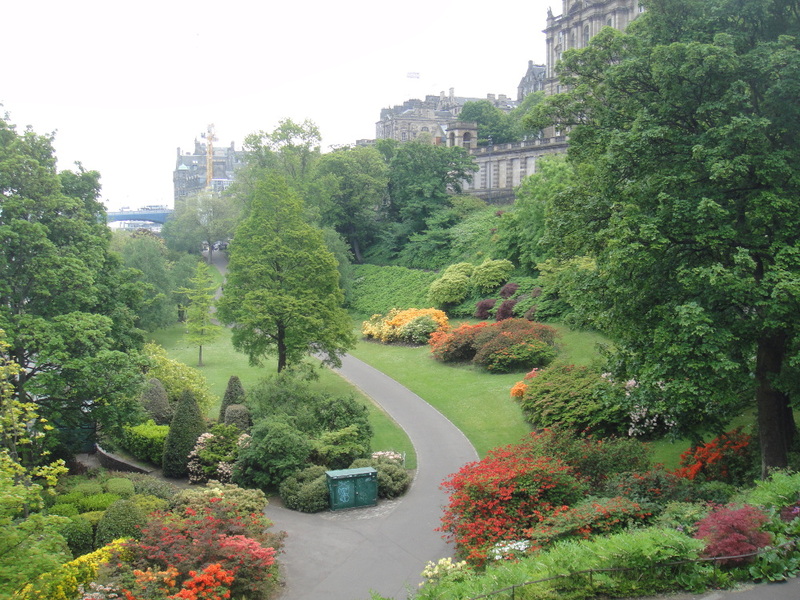 It is located in the 640 acres of Royal Park, across from Holyrood Palace. There is a 360 degrees wonderful view of Edinburgh from the top, including the Old Town, the New Town and all of the waterways surrounding the city. There are lots of different paths to take to climb to different levels, but it can be quite slippery when muddy or snowy. 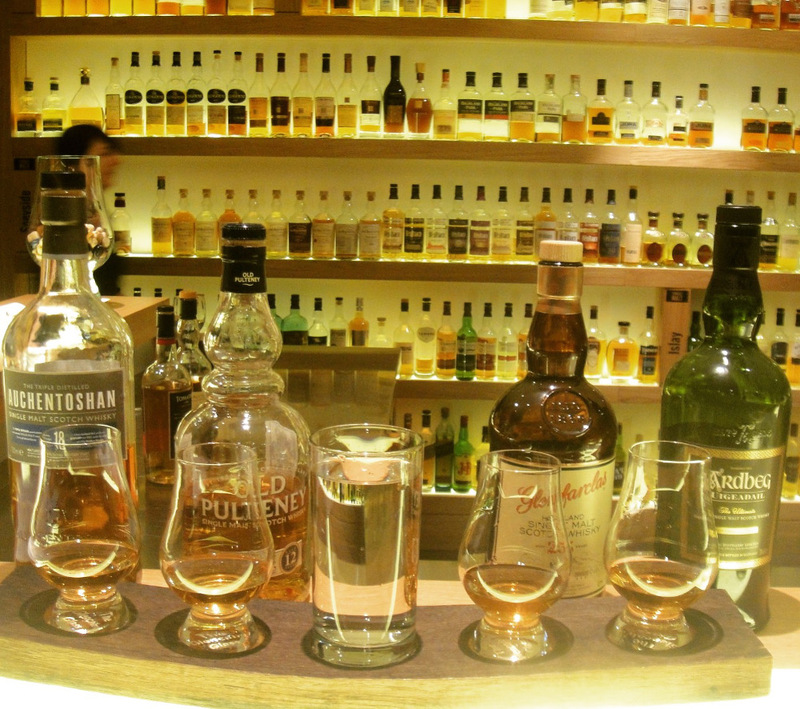 You will probably want to try a couple of single malts, as whiskey is the national drink in Scotland. Meters away from the Castle entrance you can find The Scotch Whiskey Experience. It may be a touristic place, but they offer a good variety of tours (Silver, Platinium, Taste of Scotland, Morning Masterclass and Gold), a whiskey shop and a bar/restaurant. There is no need to do a full tour, you can just pop up to the bar and do a tasting. They have good food and more than 450 whiskies to select from. The picture above shows a 4 whiskies tasting. 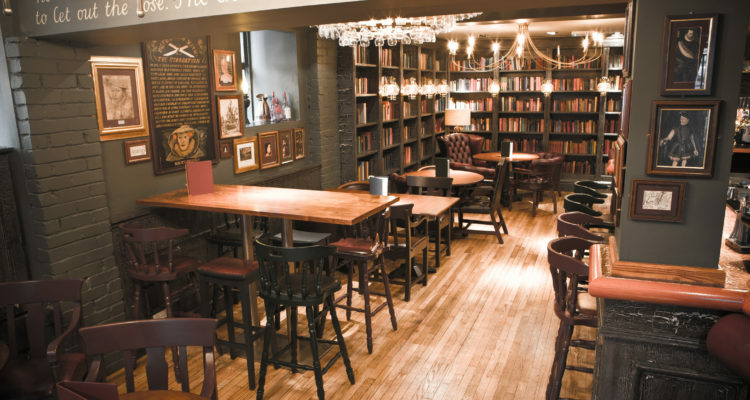 There are plenty of pubs in Edinburgh, as in the rest of the UK, so you don’t need to search a lot to find one. My favourite pub is Brass Monkey. With a relaxed and hipster vibe, they offer a modest variety of beers and spirits for moderate prices. The music is quite good and there is a cinema room with mattresses and pillows. For more sophisticated cocktails you can visit Bramble, which has been on worldwide best bar lists. And if you visit Rose or George Street you will many more. One recommended pub is The Queens Arms. We had an excellent roast for a good price, which was £32 for 2 including two courses (main plus dessert and coffee). One note is that they only had beef, so better to double check the menu if you want pork, lamb or chicken. For a less traditional and more gourmet experience, I can recommend Kyloe. And for a smart Mediterranean bistro, I would recommend Café St Honoré. We found these gardens by chance when we visited Stockbridge Market, and it was a great surprise. If you are in Edinburgh on a Sunday (the only day when this market is opened), my recommendation is to go to the market to have some food and then walk back following the canal until you reach Dean Bridge (at least) or Dean Village. The gardens are beautiful and you won’t believe you are in the middle of a capital city. 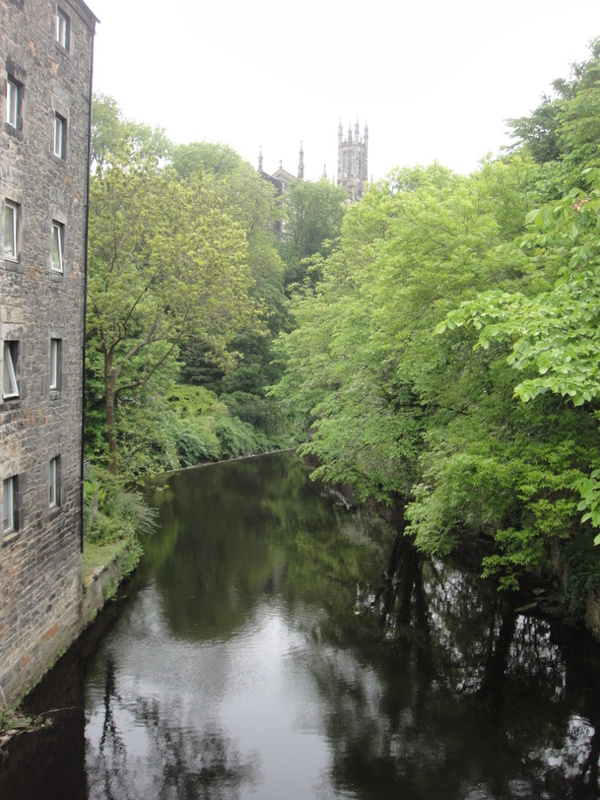 This path is called Water of Leith Walkway, which starts next to Balerno High School and runs 12.25 miles (19.6 kilometres) to Leith. So you can keep going until you reach the sea. The main commercial area in Edinburg is along Princess Street. You can find all the usual big chains for clothes, gifts and more. Additionally, there are two other parallel streets that worth visiting, which have some shops and a lot of pubs and restaurants. One is for pedestrians only and it is called Rose Street, and the other one is George Street. Last but not least, the street for independent boutiques is called Victoria. It is a curve one that goes from George IV Bridge down to the historic Grassmarket. Grassmarket is a popular spot for street food and drinks. It is located directly below the Castle, and you should be able to see it from the top of it. 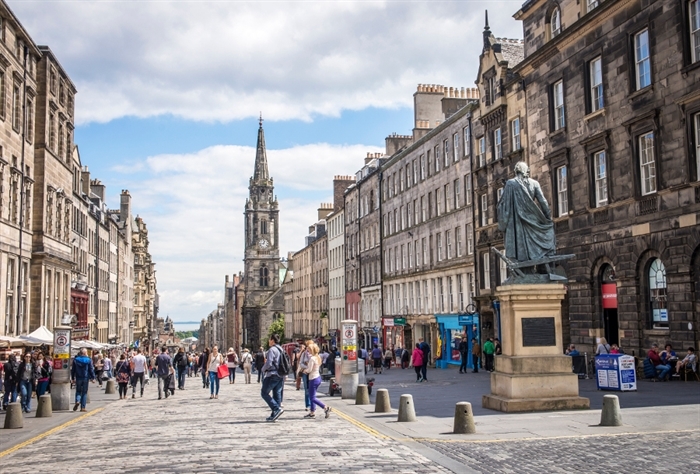 It is only a few minutes away from the Royal Mile, and the area has a strong historical background, as it was the site where public executions took place. 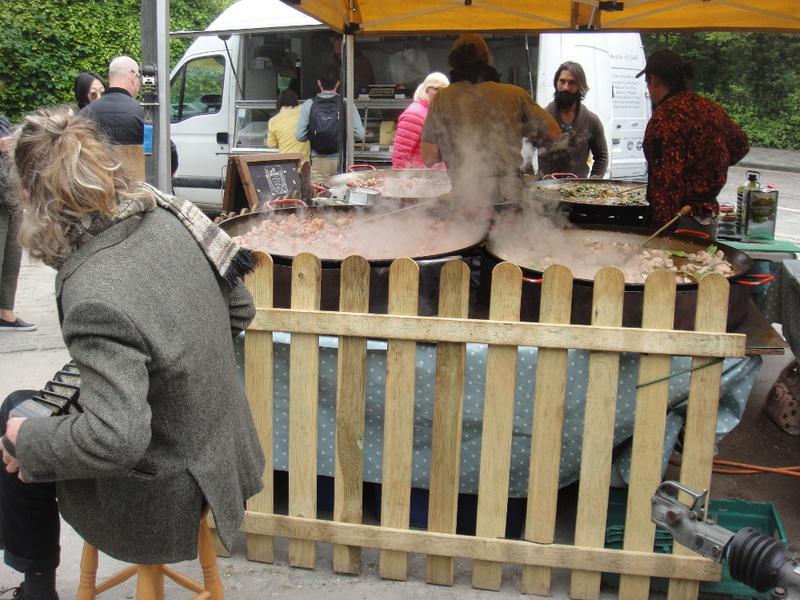 Another good market, which I strongly recommend and I described in Dean Garden section above, is called Stockbridge. The organisers of these markets are the same, but they change location, day and name. This one opens every Sunday all year round from 10 am to 5 pm. Edinburg is particularly rich in terms of legends of monsters, madness and murder. 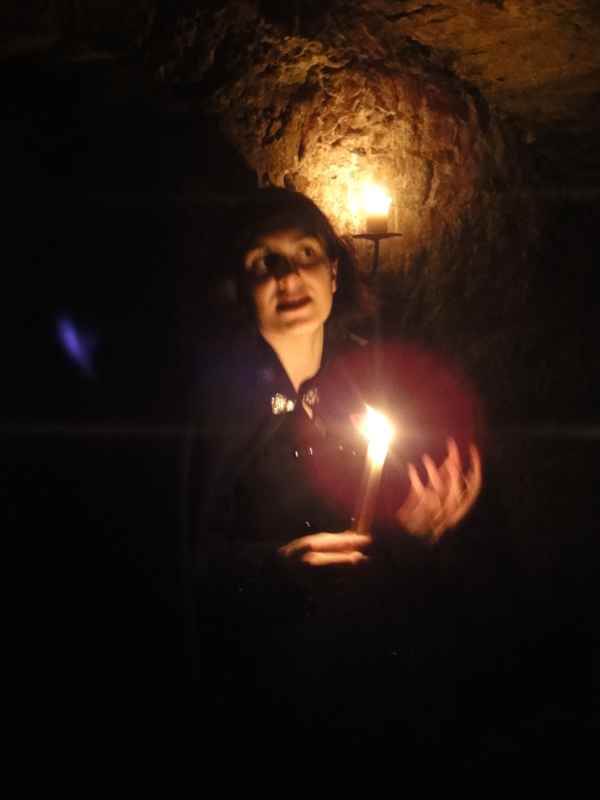 There are plenty of tours about ghosts, witches, secret vaults, murders, rituals, body snatchers and executions. 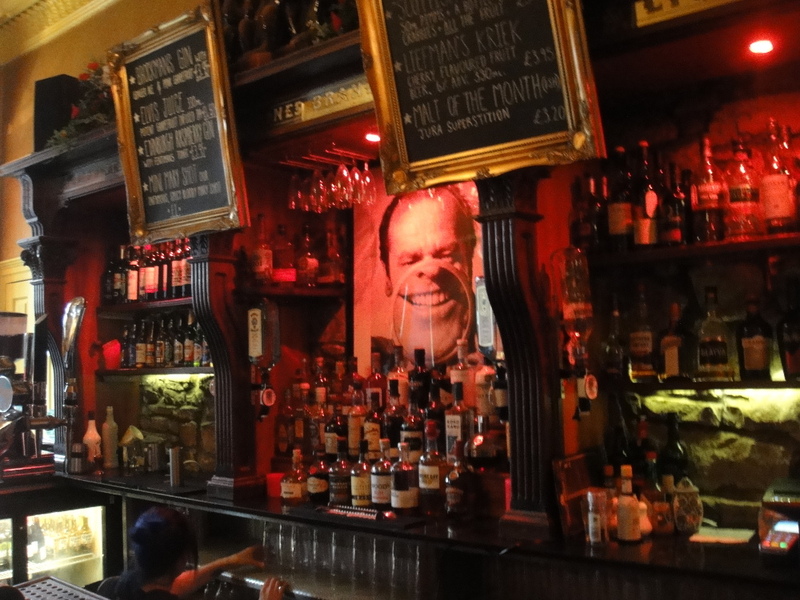 We took one to discover the Edinburgh Vaults — aka South Bridge Vaults. It was an underground walking tour with an entertaining and informative guide, who told us tales of this dark and almost-forgotten place built below one of Edinburgh’s busiest thoroughfares. You’ll see evidence of excavated storage spaces, human habitation, taverns with wine vaults and more. I can recommend Mercat Tours as a provider. They have an exclusive entrance to the vaults just next to their office, and they offer a good variety of tours, including historical ones during the day.